Everybody understands that regular maintenance and service of a vehicle increases its reliability and durability. No one believes that the simple purchase of a vehicle and just putting gas into the tank can ensure longevity and/or reliability of your mobile unit. Your water treatment equipment is no different. In today’s world and with all the technological advancements it is necessary to understand that water treatment equipment is highly technical “stuff” and needs to be treated as such. If maintained properly, not only will you receive many years of pleasant and successful treatment results, but there is a good chance your water treatment equipment advances to the best appliance you have ever bought for your home and you can appreciate the investment for many years to come. 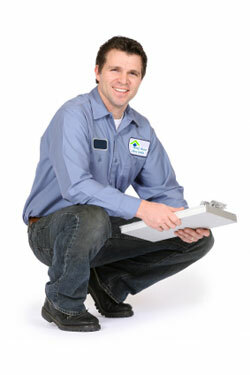 Regular maintenance of your filters and water treatment equipment is key. Not following the maintenance schedule, can lead to adverse effects and compromise the quality of your water and your system. As a result, all of our customers will be contacted ahead of time to let them know about any upcoming service or maintenance requirements. With the vast choice of manufacturers in our portfolio, we basically provide service for all common systems in the market. And of course, if any changes to the water – in-between regular service intervals – become obvious, we are just a phone call or an e-mail away.